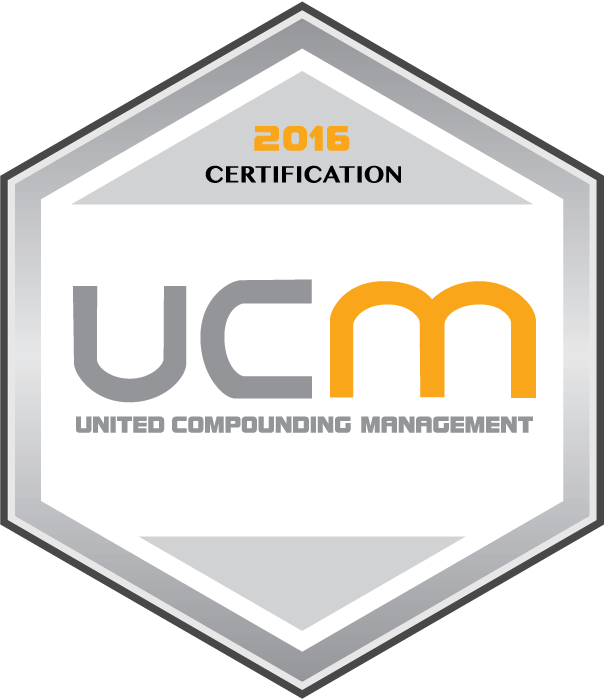 Wichita, KS – Custom Rx Pharmacy and Wellness Concepts has earned re-accreditation with the Pharmacy Compounding Accreditation Board (PCAB®), once again proving their commitment to quality compounding and patient care. PCAB® accreditation involves a rigorous review of all compounding processes and procedures, including extensive testing of compounds to ensure purity and potency. Accreditation also includes a vigorous testing process that assesses compounding outcomes such as drug stability, end dose validation, beyond-use dating, drug qualification and drug safety. The PCAB® Seal of Accreditation is the pharmacy industry’s highest recognition of quality and safety. PCAB® re-accreditation happens every three years. Out of the 20,000 PCAB® accredited pharmacies in the nation, only 165 of them do custom compounding, such as Custom Rx. Custom Rx is the only custom compounding pharmacy in south central Kansas and one of a select few pharmacies nationally that exclusively compounds custom prescriptions based on patients’ specific requirements and goals. The company operates two retail locations in Wichita. Custom Rx is also a CQI partner with DynaLabs. For more information, visit Accreditation Commission for Health Care.